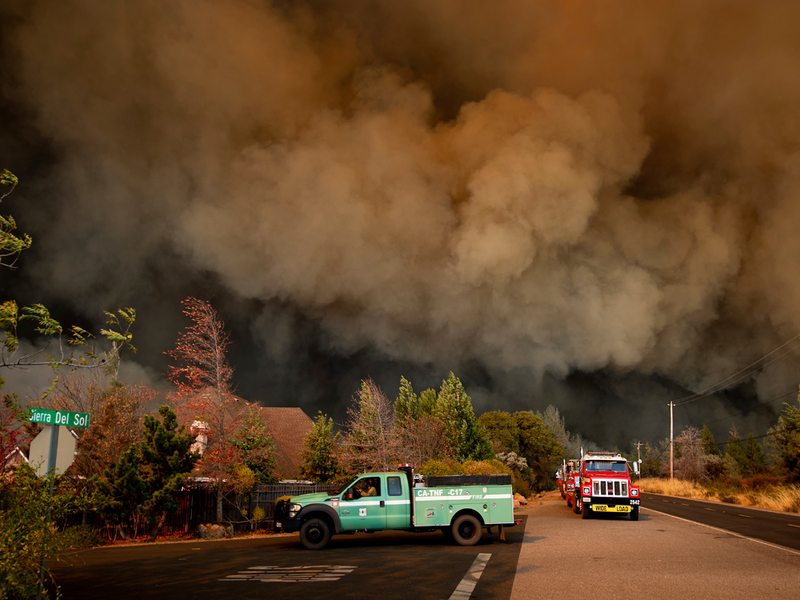 The Camp Fire, near Chico, started November 8 and has burned more than 125,000 acres. The Camp Fire has devasted The City of Paradise and the surrounding areas. 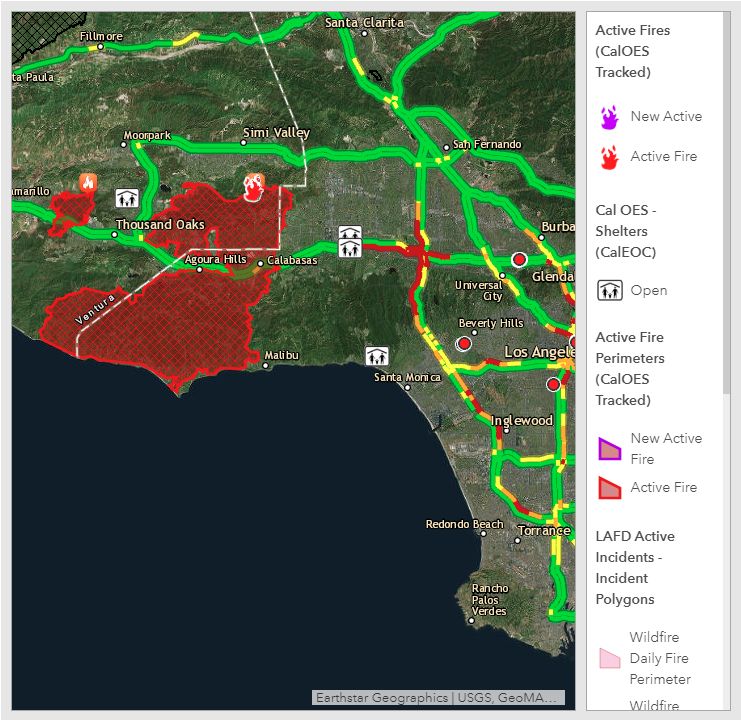 Meanwhile Malibu and Thousand Oaks are being affected by the Woolsey Fire. 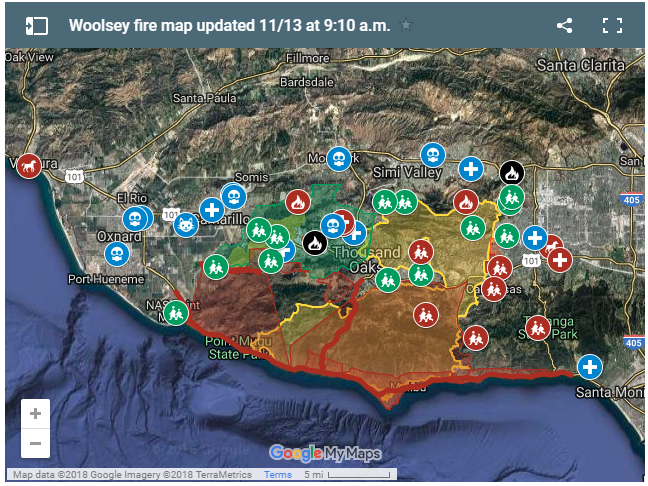 The Woolsey fire also started on November 8 and has quickly spread toward the coast due to strong winds. More than 40 people have died due to the Camp Fire. In addition, several thousand structures combined have been destroyed due to these fires. So far 2 people have died in the Woolsey Fire but more than 50 thousand structures are in danger. In the aftermath of these devastating fires, the attorneys at Andrews & Thornton are here to help you find closure and get your life back on track. Sean Higgins, a partner at Andrews & Thornton, has been appointed a seat on the Plaintiffs’ Steering Committee of the coordinated proceedings for the cases of all individuals suffering loss from the fires that raged in the North Bay in October 2017. Andrews & Thornton has the experience and know how to hold those responsible for these fires accountable. Officials estimate that the “Woolsey Fire” has destroyed more than 430 structures alone and still threatens another 57,000. The Camp fire is only 35 percent contained and has devours more than 96,000 acres so far. The Camp Fire is one of the deadliest in California state history, and with hundreds of Paradise residents still unaccounted for, officials are worried that the death toll will climb. It has burned 125,000 acres and is only 30 percent contained. Fire officials indicated that 6,453 homes and 260 commercial structures have been destroyed. Imagery from the European Space Agency’s Sentinel satellite shows the devastation. 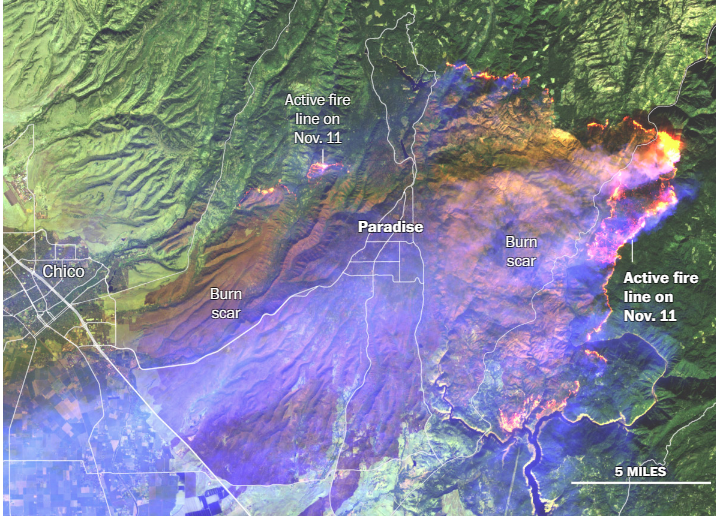 A “false color” sensor combination highlights healthy vegetation in bright green, while a maroon burn scar can be seen surrounding Paradise. To the east, the active fire line is visible in bright orange. If you or someone you know has been affected by these fires, call our office at (800) 664-1734 or directly at (949) 748-1000 for a free consultation. Se habla español.